We found 6 episodes of The Bulwark Podcast with the tag “politics”. Taegan Goddard joins host Charlie Sykes to discuss the recent arrest of Julian Assange, the indictment of Michael Avenatti, how Florida and Medicare for All is going to factor into the 2020 Democratic primary, and a look at Goddard's new site: ElectoralVoteMap.com. Mark McKinnon from Showtime's "The Circus" joins guest host Jonathan V. Last and Jim Swift to discuss how he makes his weekly show, why he's done with campaigns, a handicap of the Democratic 2020 race, and the importance of authenticity. Charlie Sykes hosts Jerry Taylor of the Niskanen Center to discuss his confessions as a recovering libertarian, how the decline of broad political knowledge is fueling excessive partisanship, and the future of moderation in our hyper-partisan times. 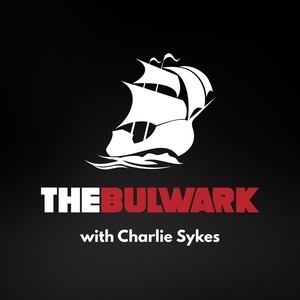 In the first official Bulwark podcast, editor-at-large Bill Kristol and executive editor Jonathan V. Last join host and editor-in-chief Charlie Sykes to discuss the future of conservatism, the fate of Trumpism, the weird political moment, and how The Bulwark fits into it all.